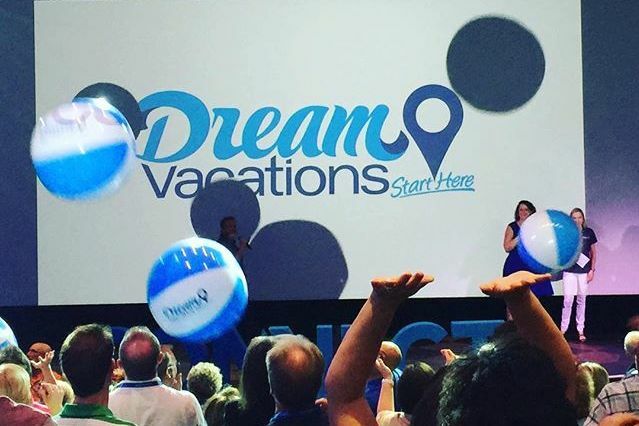 News of the launch of CruiseOne’s new brand Dream Vacations broke at the CruiseOne/Cruises Inc. National Conference aboard the Norwegian Escape yesterday. Here’s the scoop on what you need to know about CruiseOne’s new brand—Dream Vacations—from the creative minds that put this new initiative together. 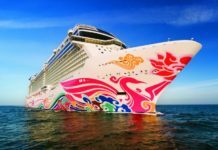 We took some time out from the CruiseOne/Cruises Inc. National Conference, taking place on board the new Norwegian Escape, to sit down with the brand’s decision makers—Brad Tolkin, Co-CEO and chairman of World Travel Holdings; Debbie Fiorino, senior v.p. 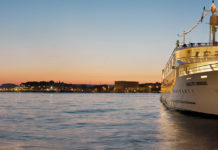 of CruiseOne/Cruises Inc. and human resources; and Drew Daly, general manager of network engagement and performance at CruiseOne/Cruises Inc.—to get answers to a few of the questions you might have. Here’s what the new brand means for CruiseOne and World Travel Holdings and how you can sign up to be a franchisee. Michelle Marie Arean (MMA): I had agents in my elevator fist-bumping with excitement over the announcement of this new brand. What are your thoughts on their positive reactions? How does this make you feel? Debbie Fiorino (DF): We expected it, but didn’t think anything could match what we saw—it felt like we were at a concert. They showed us it’s exactly what they wanted. MMA: How about for you, Brad? How do you feel about the new brand, and what does it mean for World Travel Holdings as a whole? Brad Tolkin (BT): I feel great about the brand. World Travel Holdings is already in the land and resort vacation business. We have a brand that we’ve had for years called Vacation Outlet; we own brands like Villas for Distinction, Island Hideaways, Villas by Linda Smith; we handle all the resort vacations for BJs Wholesale Club, so we are already in this business. The brand now, Dreams Vacations, was really an evolution and it was guided by not people telling us they wanted more of a land brand, but by the numbers. The growth we’ve had in CruiseOne in selling more than just cruise since we introduced the tagline, ‘Dream Vacations Start Here’ in 2011, it was the numbers, we are feeding the numbers that we’ve seen in the growth of our land and resort vacation business. MMA: What brought on the decision to add this new brand? How long has this been in the pipeline for the company? DF: For the last 12 months, we’ve been in the planning process, but we’ve been thinking about it for years. We wanted to make sure we understood what the growth of our resorts business was, understand the networks’ need, and make sure we picked a brand that spoke to what they wanted. Dream Vacations was staring us in the face. MMA: Will this brand impact the already existing land vacation offerings? BT: No. 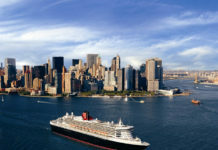 This brand is really speaking to a large group of franchise owners who still want their primary product to be cruise, but an identification of more than just cruise will help them keep that customer coming back to them every year they take a vacation. There is no doubt in my mind that our CruiseOne cruise volume in the CruiseOne family, whether they’re selling through Dream Vacations or they’re selling through CruiseOne, will continue to grow greater than the capacity growth for the cruise industry every year. There is absolutely no doubt in my mind about that. MMA: Is this something the agents have been asking for or something you saw a need for? DF: Both. We saw what agents were doing—initially it was land or resort vacations—and seeing that double digit growth year after year just proved they wanted something more than just a cruise name. Talking to top agents and to the entire network, they were telling us how they were missing opportunities because the word cruise was getting in their way. ‘Dream Vacations Start here’ has been our tagline for the last four years, so it’s been an evolution of the tagline. But as we’ve been going through this process, it was more, ‘let’s talk about experiences.’ We wanted an experiential brand. We wanted to tell people why we do what we do, not necessarily what we do. MMA: What are your expectations for Dream Vacations? DF: A lot. I expect that it will be adopted well by the franchisees and by consumers. We kept hearing people say, ‘What’s my dream vacation?’ It’s not about the cruise, it’s about the experience. BT: I think the Dream Vacations brand will help our franchisees build their businesses because it speaks to what we are selling, which are travel experiences or experiences with a vacation as the end result. So I think it will help our franchisees who choose to use the brand to expand their overall buying power both in cruise and in resort vacations. To us, a cruise is a dream vacation. 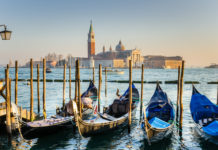 MMA: Do you expect many of your agents to switch from CruiseOne to Dream Vacations? DF: We do expect a good percentage. That percentage is still to be determined. Some people have already signed up and are getting the marketing announcements. MMA: What will this change mean for CruiseOne as a whole? DF: It strengthens who we are as World Travel Holdings. Just like the quote, ‘Rising tides lift all ships,’ I believe it helps. It just supports World Travel Holdings as a power house in the industry. We will support CruiseOne the same; nothing changes for them except there’s an additional brand. MMA: Do you foresee Dream Vacations taking over CruiseOne in the future? DF: We don’t have any plans for it. We are launching another brand right now. We have no idea what the long-term future holds, all we know now is that we need this additional brand that’s separate from CruiseOne. MMA: Do you think as agents switch that CruiseOne will disintegrate and agents will just sell both under Dream Vacations? BT: The CruiseOne name and brand is 1. Not going away. 2. Will still be offered for franchisees and new franchisees coming into our family; we’ll offer both brands. And 3. This is an eternal option. Meaning people don’t have to decide until April 4. Some people can declare then, a year from now, three years from now. Since we are introducing an additional brand, 100 percent of our franchisees operate under CruiseOne. After April 4, it won’t be 100 percent, so from that perspective there will be less. (But) there is no thought of it going away. Our mission is to remain a dominant, and I use the word dominant purposely, distributor in cruises—that will not change. MMA: Can you explain a bit of why Dream Vacations is under the CruiseOne brand? 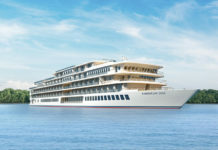 Why wasn’t it launched as its own separate brand instead of under CruiseOne? DF: Because it’s for the franchise division, basically. All the brands for World Travel Holdings are so much of an experiential brand that the traditional travel agents, their businesses, were built off the relationships they make with people. So we want this brand to speak to this network, and CruiseOne is the franchise brand. MMA: What types of Dream Vacations will be targeted? Will this be more of a luxury vacation brand? DF: Agents themselves are their own brand. We wanted a brand that can speak to any niche they wanted to go into. So if I’m a cruise specialist and I think the brand Dream Vacations can speak more to what I do, then Dream Vacations is going to be appropriate for them. 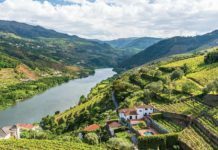 If I’m a river cruise specialist, a resort vacation, or a villa specialist, they can use their brand because it’s so generic to be able to allow them to be able to brand themselves within it. Unlike CruiseOne today, which has proven to be more difficult for them. MMA: How does an agent sign up if they want to switch? Drew Daly (DD): We have an automated process within our existing system that agents can use to check off a box that says they want this. From there, they get prompted to complete a survey that is unique to them and their business. We hired a person that expanded our marketing team that’s going to help us with brand management and help us with the transition for both new and existing franchisees who want to transition over. That person is going to walk them through the process and hold their hand, and assist them with the execution of the brand. MMA: Is there a fee for existing franchisees who want to switch? DD: No additional cost for existing franchisees. The only cost would be new marketing materials, but we are putting together a tiered promotional platform for people to transition over the period of the initial launch, and to help offset any pocket cost they have for their own marketing like business cards, name badges, banners, etc. MMA: What’s the cost for someone new to become a Dream Vacations franchisee? DD: The cost is same as CruiseOne for a Dream Vacations franchise. MMA: How do agents know where to sign up? DD: We sent out a video message today similar to the message we gave here today that was pre-recorded announcing the new brand, and we will also be hosting a series of town halls in upcoming weeks and we sent out a comprehensive FAQs to everyone to start the conversation. MMA: Where can agents find this? DD: It’s on our internal business center, the internal intranet—on CruiseOne’s interactive agent portal (the business center). MMA: What does the April 4 launch date mean? What changes that day for franchisees? DD: Their website becomes Dream Vacations—we do that for them—marketing material, weekly e-mail messages, new business cards, name badges, new logo, etc. We wanted to launch, but we also want to give them time to educate their customer. We are creating communication to send to their customer base announcing switch and explaining why.